Lees Coin is a good looking very athletic fellow. 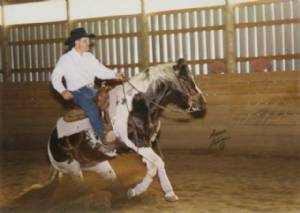 He was trained to be a reining horse but he was too energetic to compete with so instead Tyler tried him team roping which was right up his alley. He is very cowy and has lots of speed and even though he isn't that tall he could handle the cattle very well as a heading horse. He stands to the public for $500. Cherokees Trophy, a.k.a. 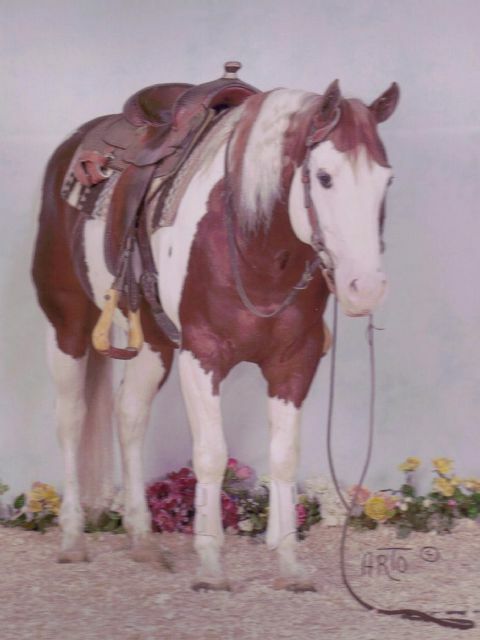 "Bubs" is our junior paint stallion. Although his reining career started late in his 3 yr old year he was able to earn his ROM in reining as a 4 yr old. At this point we decided to start using him as a breeding stallion so his reining career ended. 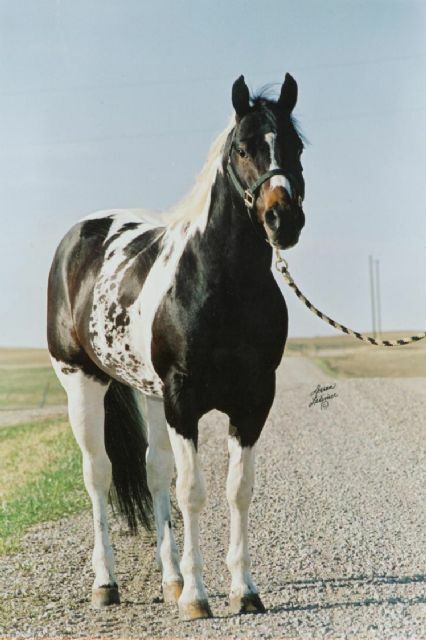 We are confident that Bubs is homozygous for the tobiano gene, since he has produced 100% color on all of his foals to date and because of this his service comes with a live color foal guarantee. 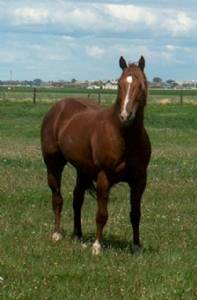 His foals all seem to be very athletic and are very good looking. 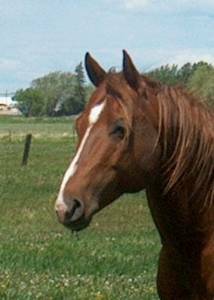 Bubs stands to a limited number of outside mares for $500.00 and will be nominated to the Canadian Colors Futurity for 2008. 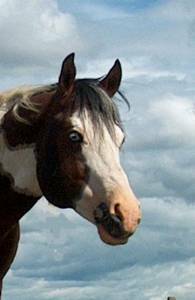 It is with great sadness we have to report Bubs passed away very suddenly the summer of 2008 . He will be greatly missed. OCP Easter Bunny a.k.a. "Franky" is our oldest paint stallion and has produced some awesome foals. Franky is very muscled and has a very pretty head with 2 blue eyes. 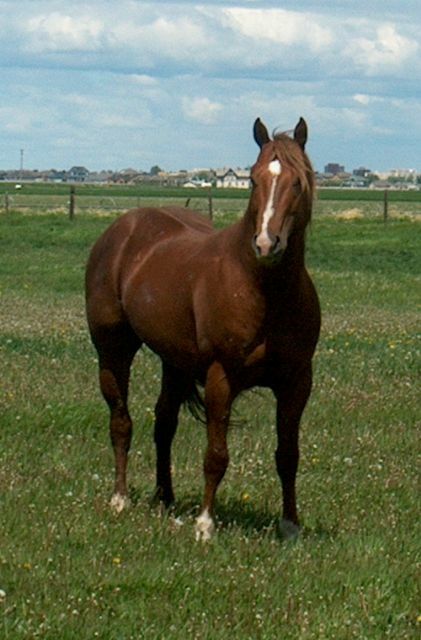 He routinely adds a pretty head and nice round hips to his babies, as well as, lots of athletic ability. 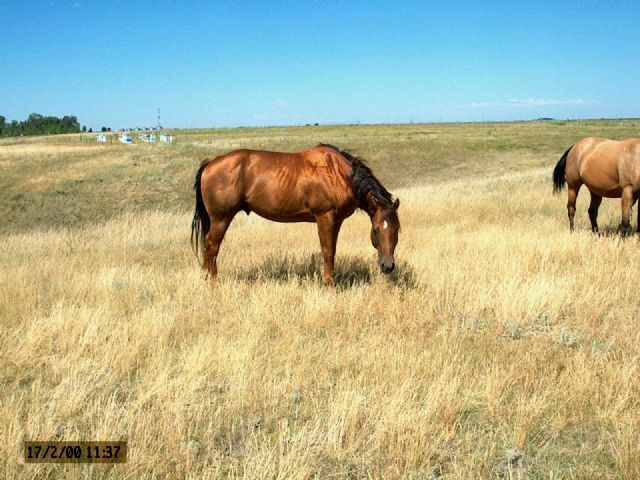 His foals all seem to have a natural ability to bury their butts into the ground to stop, can turn around quick, they have natural cow sense, and are very versatile. 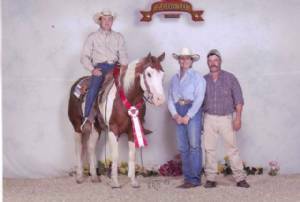 He has produced the 2004 APHA Zone 10 Paint O Rama Super Horse, the 2005 Reserve Champion at the 50/50 Pot O Gold Futurity plus the Hi Point Amateur Halter Gelding at the 2005 APHA Zone 10 Paint O Rama and numerous ranch and pleasure horses. We are sad to say Franky passed away in October of 2006 from a massive heart attack. 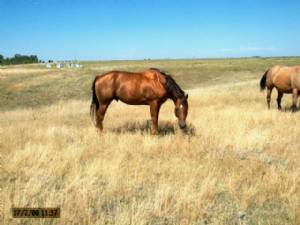 He will be greatly missed as he has produced some excellent horses for us.